Katana-the traditional sword carried by the historic samurai of Japan-is a symbol of honor, precision, and artistry in Japanese culture. Adopting the majestic sword's name with pride, the Katana series presents guitar amplifiers with smooth, cutting tones honed by generations of dedication and expertise. 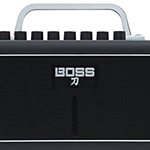 Born of the development process behind the acclaimed Waza amplifier, these innovative amps embody BOSS's determined pursuit of the ultimate rock sound. 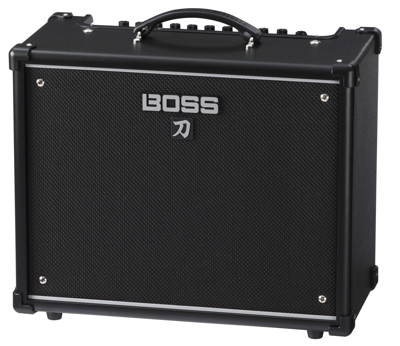 Featuring proprietary circuit designs and meticulous tuning, the Katana series combines traditional craftsmanship and breakthrough functions to produce true next-generation rock amplifiers. With 50w of power paired with a 12" custom design speaker this amplifier can handle stages and venues with ease, allowing you to play live with ease and no worries about cutting through the mix and being heard. Not only is it gig-worthy but also bedroom friendly with its built in Power Attenuator you can drop down from the massive 50w to a mere 0.5w allowing you to push your amp right in your own bedroom to get the sparkling valve tones. 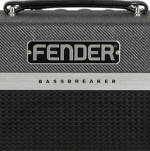 Not only is this good for the bedroom player but ideal for home studios whether your mic&apos;ing the amp up but don&apos;t want to annoy the neighbours or plugging direct to your computer via USB or the REC-OUT into an interface this amp really does tick all the boxes when it comes to practicality! The Katana range boasts masses of tones with 5 variable amp models from acoustic simulation, clean and crush to the legendary Brown Sound. 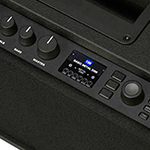 The custom 12-inch speaker is driven by a special method developed for the flagship Waza amp that optimizes the speaker and cabinet character. 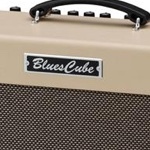 These give you huge amounts of tone variation whether your playing some smooth Jazz, Funk or shedding to your hearts content this amp really shines in all aspects and styles. 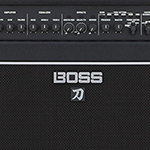 With the option to store 15 on board effects, and 55 customisable effects connected to the BOSS Tone Studio editor software you will be split for choice! Not only can you store and save Effects but there are 2 sections to save both your effects and tones to recall them easily which is fantastic for live situations. 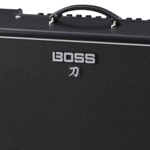 At the BOSS Tone Central website, you'll find numerous free amp and effects setups for the Katana series. 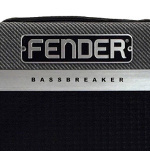 Created by pro guitarists, these setups provide ready-to-play sounds for various music styles, and also make great starting points for building your own sounds. 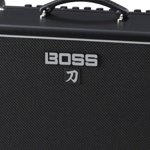 They load into the memories in a Katana amp via the BOSS Tone Studio editor software, which is also available at the site. 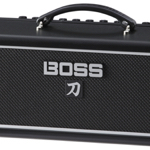 In addition to Katana effects selection and customization, BOSS Tone Studio gives you a convenient way to organize all your Katana setups for different gigs, recordings, and practice sessions.